The educational challenges of the Central Valley can only be overcome with passionate, creative, hard-working teachers. We are looking for a few people like that to teach classes at the Shafter Learning Center. 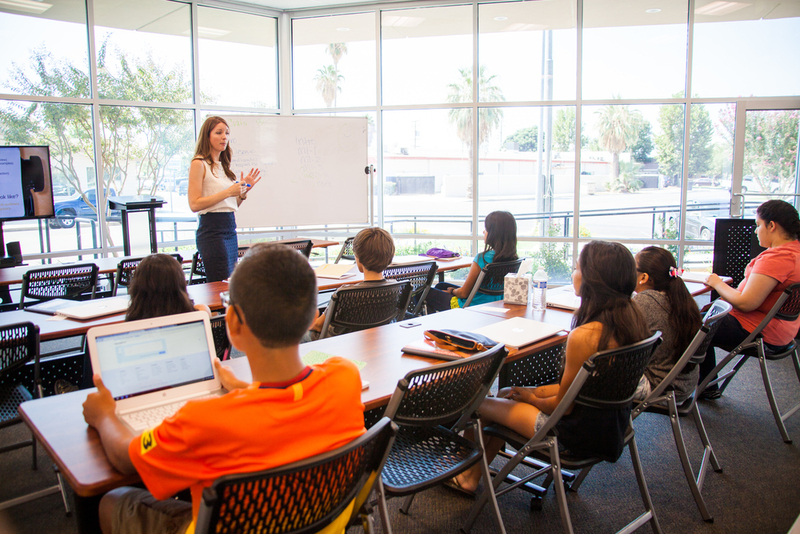 We value talent and work to provide an atmosphere that is ideal for teaching and learning. All of our classes are limited to 15 students. Standard materials (writing paper, pencils, instructor whiteboard, markers, eraser, instructor computer with projector) are provided. Internet connected laptops are also available for each student. Funding for additional materials for special projects is available. A teaching credential is not required. Our teachers work on a contract basis. Compensation is competitive. Maintain high levels of student engagement and parent satisfaction (Classes are voluntary. Students need to enjoy them and parents need to find them worthwhile). To submit an application, complete and submit the form below and email a resume to David Franz by the application due date. If you have taught with us in the past year, a resume is not necessary. What experience or education has prepared you to teach this course? Thank you! Don't forget to email your resume at info@shafterlearning.com by the due date to complete your application.